Oh, hello there. Remember me? The one who never gets around to blogging anymore? Yeah, sorry about that. If you follow me on social media you’ll know I’ve been super busy already this summer. and it’s only getting busier so I figured I should start keeping you posted on all the cool things I’ve got coming up! See, and that’s not even all of them anymore! More just keep getting added! So for the next few months I will be travelling all over our beautiful country, going to all kinds of events, and making people look and feel amazing – and then telling you all about them afterwards! I kicked off the 2017 calendar with a bit of a holiday back home because I knew I wouldn’t get another one any time soon, and I figured I should at least spend some time with my husband this year so he doesn’t forget me when I’m away. We had Christmas in Wanaka with my family and my in-laws, which was so cool – coming from different ends of the country means we would usually have to pick which family to see for the holidays, so having everyone in one place again this year was awesome! After a few weeks of milling around down south – catching up with friends and family, opshopping up a storm, and getting new tattoos – we picked up a rental campervan and made our way back north. The weather was pretty appalling right up until we hit Picton, but that didn’t stop us from having a blast! 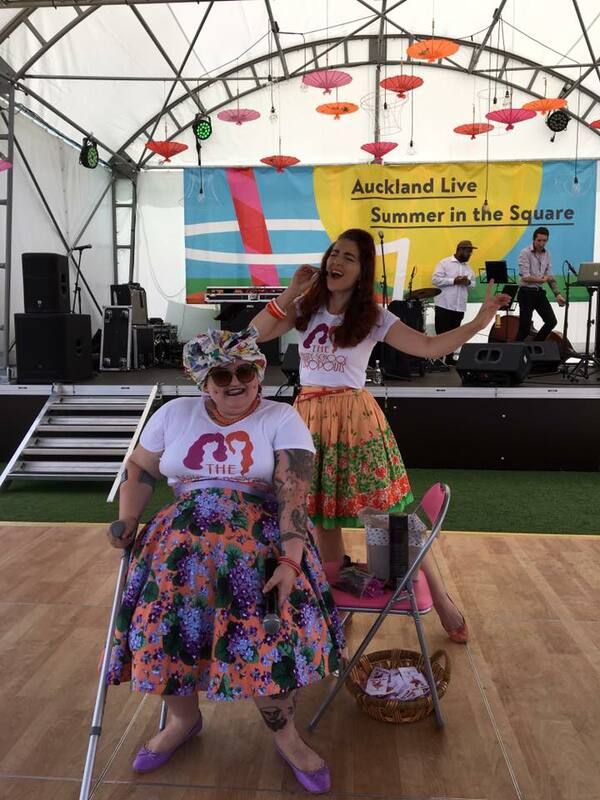 The first event after getting back to civilisation was the Vintage Weekend (part of Auckland Live Summer in the Square series) where Monique and I had been asked to do a quick wee demo, and run a pamper parlour for the weekend! 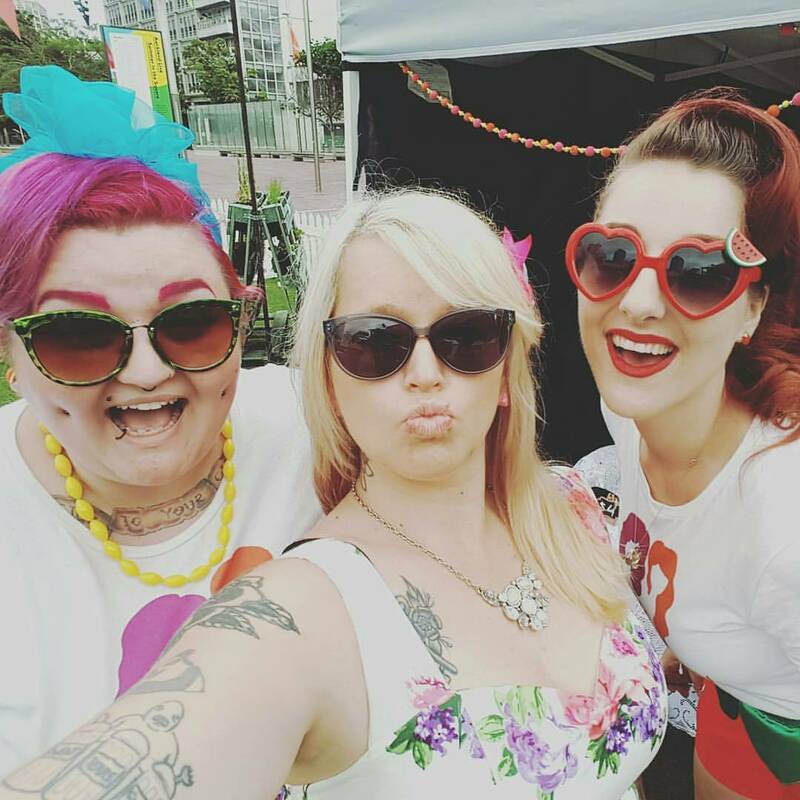 The weather was gorgeous, the music was fabuous, and there were all kinds of demos and workshops, and even a fashion show by Devel Men & Women and Rita Sue Clothing! The whole event was really great, and it had a really chill vibe – except at our stall on Saturday, which was crazy busy to the point where I ended up passing out because I didn’t have time to stop and find my water bottle, but that’s a story for another day. Either way, it was a killer start to what is going to be a busy summer season ahead! Some of our clients from Saturday – These two were such a laugh! 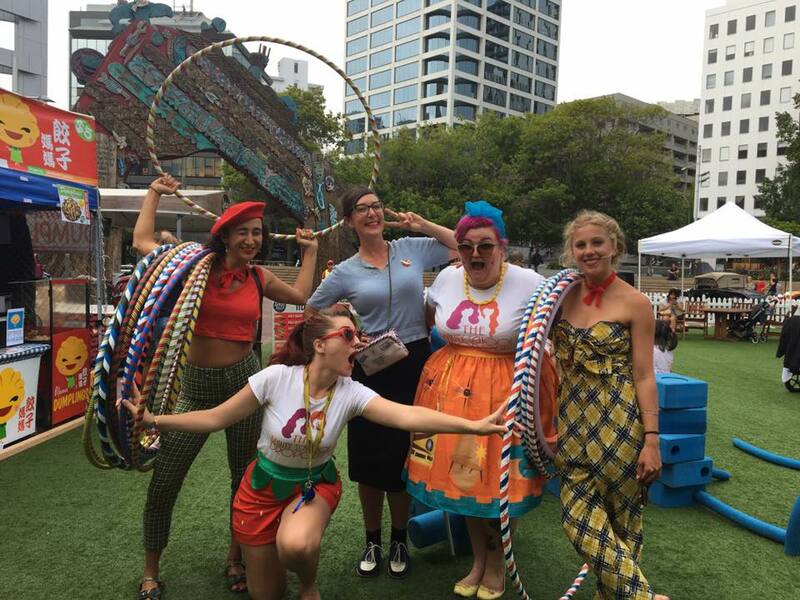 We had such a ball all weekend, catching up with friends and meeting new faces, and Monique even joined in on a Hula Hooping class, so thanks heaps to the team from Glory Days for inviting us along again this year! Making faces with Fish and Fox, and Rose from Glory Days! Keep an eye out on the Glory Days facebook page for upcoming events (because they’re always a good time!) 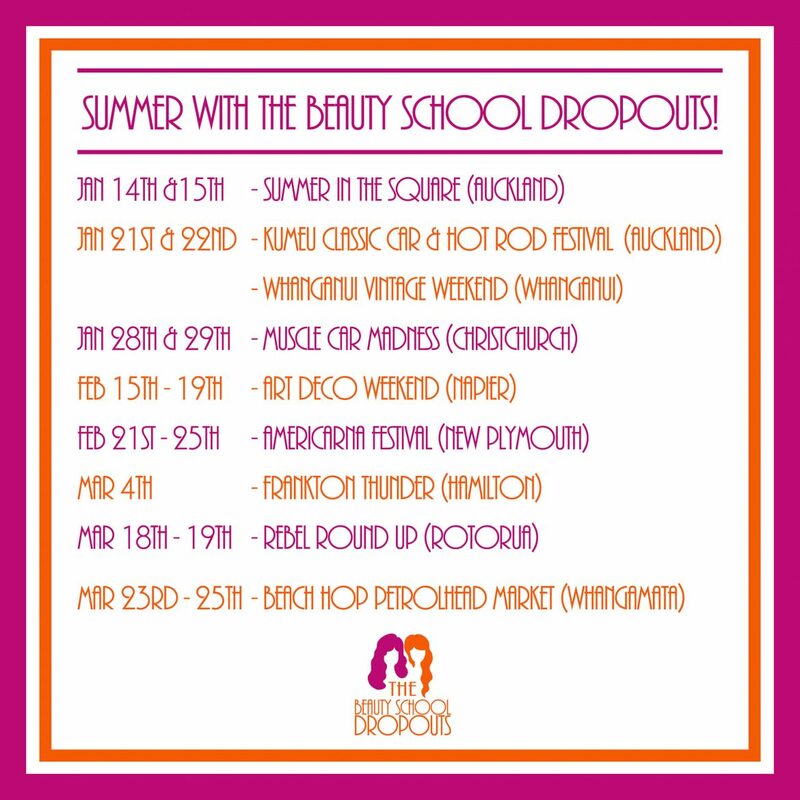 and check out The Beauty School Dropouts page for info on where we’ll be this summer! 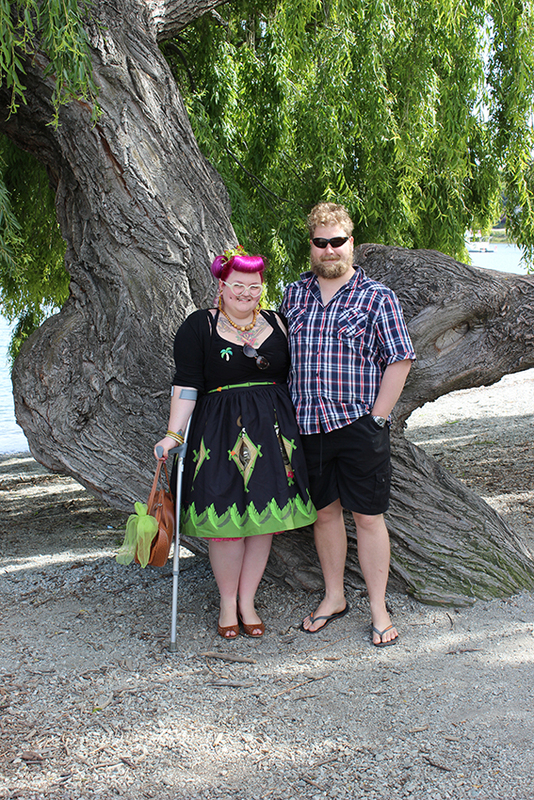 This weekend Monique and I are off to the Whanganui Vintage Weekend so watch out for my event recap next week – I’m already excited to tell you all about it, and it hasn’t even happened yet!